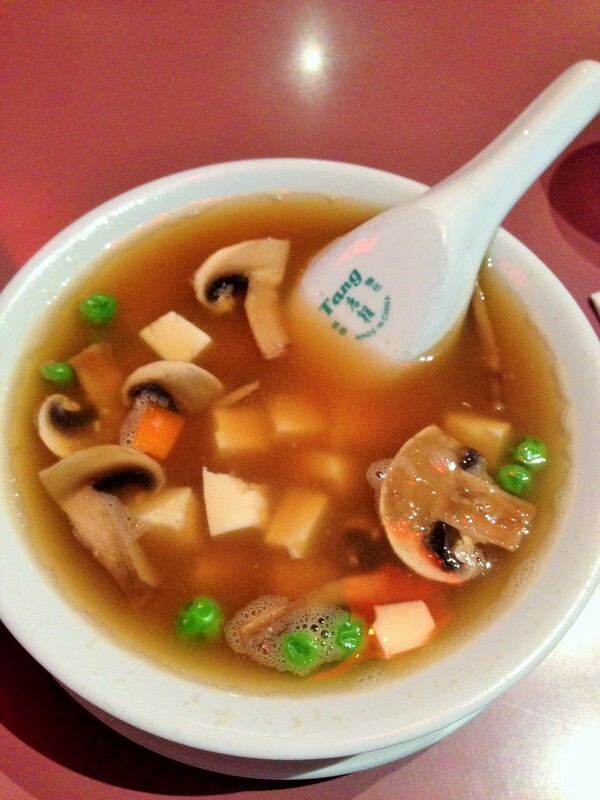 Bianca: Mother Chu’s Vegetarian Kitchen is a vegetarian restaurant on Pitt Street in the city CBD. A quick dinner before Madama Butterfly on Sydney Harbour had me looking for a place to have a bite before the opera. Trusty Google brought me to Mother Chu’s. . 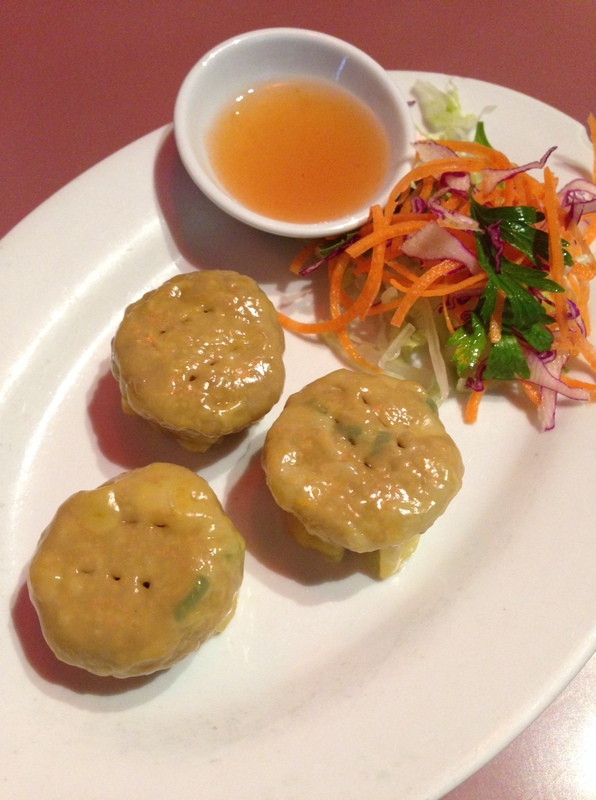 Apparently, unbeknownst to me, Mother Chu’s is somewhat of a stalwart in the Sydney Vegetarian scene. Joining me today was ‘Madre’, who was originally meant to join me on Meat Free Week but cracked on Day 1 when I caught her nibbling some chicken drumsticks (weak willed). None the less she indulged me by accompanying me on my vego restaurant quest. Surprisingly we ordered with a reasonable amount of restraint, we shared a small bowl of Miso soup, ordinarily I am not much of a fan but this was one of the best Miso soups I have eaten. Mum and I then shared a serving of 3 steamed Dim Sims, filled with tofu and mixed vegetables. These were a bit unusual, initially they have a pleasant taste (when dipped in the accompanying apricot dipping sauce) but leave your mouth with a bit of an unpleasant after-taste. For our mains Mum and I had the ‘Taiwan Style Eggplant’ comprising of Basil and Coriander served with steamed Eggplant and crunchy Soy Nuggets with a Basil Sauce (That was a mouthful). I was really surprised by this dish, I didn’t think I would like it as much as I did. The entire dish reminded me of KFC’s popcorn chicken and Sweet N Sour sauce. Something I have not had for years. 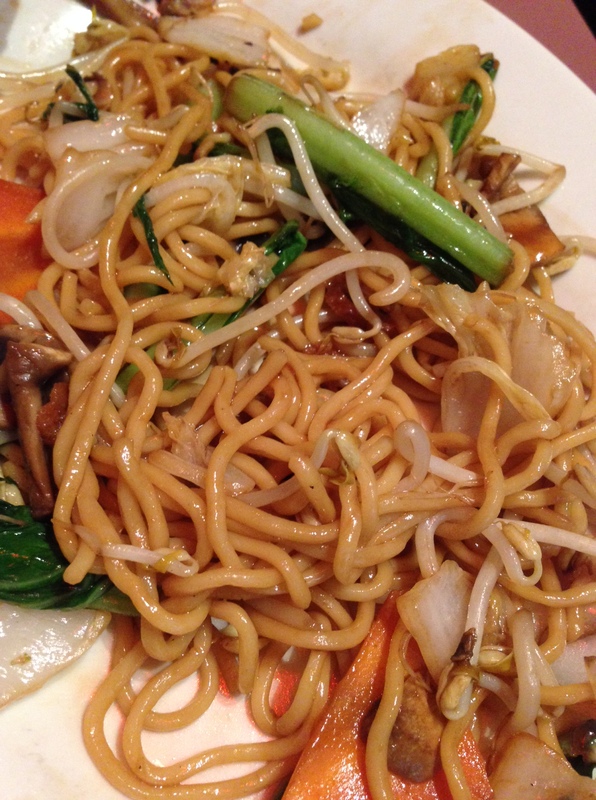 To accompany the eggplant dish we got a serving of the Stir Fried Noodles with vegetables and Gluten. This was pretty standard fare, it didn’t really knock my socks off. The restaurant itself is fairly old school and unassuming, the staff were friendly and willing to answer any questions. 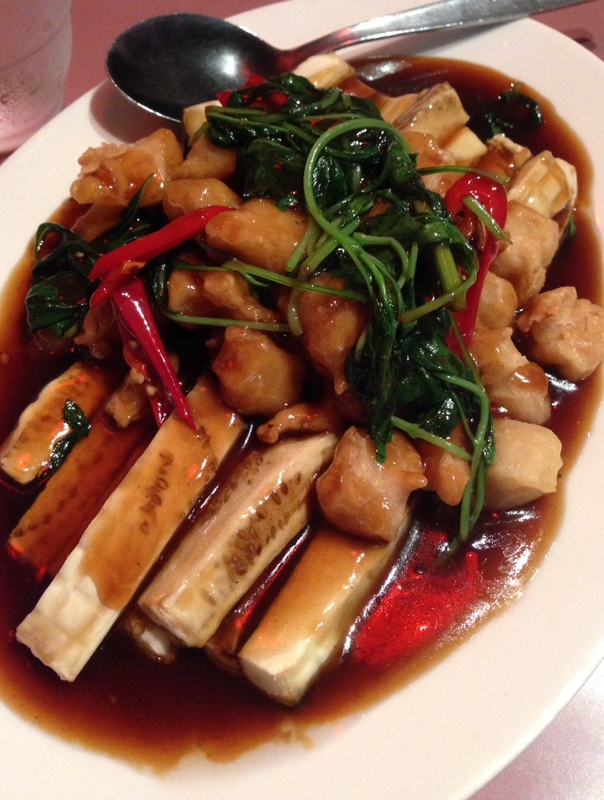 For vegetarians and meat eaters alike, some tasty Chinese food.